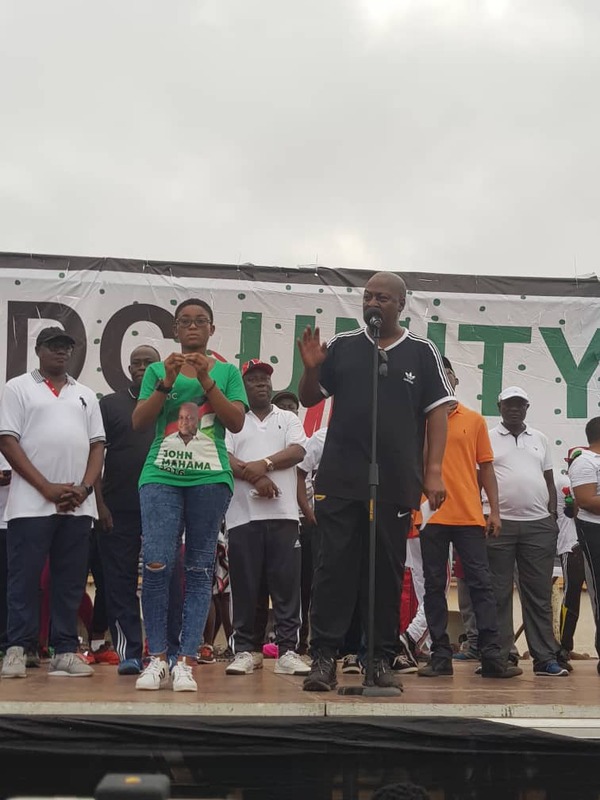 Former President of Ghana John Dramani Mahama arrived in Sefwi Bekwai in the Bibiani Constituency of the Western Region to begin a five-day campaign tour of the region on Saturday. Mr Mahama will visit all constituencies in the region and meet with delegates of the National Democratic Congress (NDC) as he seeks their “mandate to lead the party to victory in the 2020 elections”. The visit, which marks the final phase of Mr Mahama’s campaign, will also take him to the Eastern and Volta regions, ahead of the flag bearer election on 26 January 2019. Already, the former president has met with delegates in every constituency in the Central, Upper West, Upper East, Northern, Brong Ahafo, Ashanti, and Greater Accra Regions. Mr Mahama is contesting five other aspirants for the flag bearer slot. They include Second Deputy Speaker Alban Bagbin; former Minister of Trade and Industries Mr Ekwow Spio-Garbrah; former Rector of the University of Professional Studies, Accra (UPSA) Prof Joshua Alabi; former CEO of the National Health Insurance Authority (NHIA), Mr Sylvester Mensah; and businessman Nurudeen Iddrisu.